Selection the custom headphone cables determines the sound quality of a headphone. No matter how good your headphones are, if it’s not supported audio cable with the best quality will produce a bad sound. For that, I will share the short tips on how to choose the right headphone cable. I’ve met people who are already professionals dealing with audio cable problems. According to him, expensive cable is not sure to produce good sound. We should choose the right cable regarding quality and price. So the cables purchased can maximize with the sound quality, and excess budget can be allocated to buy a device or accessory. How to choose and buy cables for your audio components? Are cables expensive then sounds better? Are all cables the same, does not affect the audio/video quality? Theoretically, a cable acts as a conductor of electrical waves which should not increase or decrease the character of the conducting signal. How to choose custom headphone cables that are suitable to connect the components we have so as to produce output fit in our ear to the maximum? 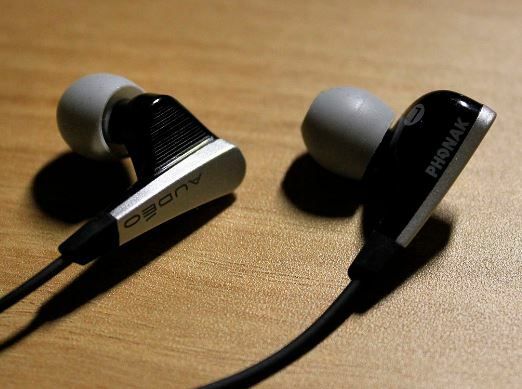 Learn the following things that will be a powerful strategy in choosing and buying the headphone cables that you dreamed. Analyze what you want. What is your music taste? How does the color of the music you want to hear? Soft? Natural? Sounds of vocals that seem more advanced? Sound Stage wide? Is treble open? Trust your taste in your own hands. Make a quick note from your favorite song list. For example, I want to hear the sound of an acoustic guitar in the open. Once you have detailed one by one of your musical taste, Now its time you record the character of the components you have. Research your particular output quantities and component inputs. Make a quick note. Listen well to the character of each component you have using the available cables. # Analyze your activities and harmonize with your cable. What about your activities when using headphones? As a sport? While sleeping? While working? Note the required cable length. Make a brief note of activity when using headphones. Try asking for the specification of the cable you are appraising. You can find the information on cable sellers, in product catalogs, audio magazines or on the internet. There are four basic things you need to observe: Conductor, cable geometry, dielectric material and dielectric construction and connectors. Conductors are electrically conductive media have a big role in determining cable quality. Rectangular cross section, square cross section, oval and other sections. The geometry of the cable acts as a solution to solve skin effect problems, effect bunching, electromagnetic fields and more. Insulation material or often called a dielectric serves as a conductor protector, which has several functions such as dispels radio frequency signals, reduces skin effect problems, voltage isolation. Connector or often we call the jack, pin, spade, and banana as the spearhead audio cable also plays an important role. The better the conductor and the construction the connector uses the better the efficiency level of your audio signal transmission. Installation of the plug must be tight and hard. Understanding cable specifications can maximize the budget vs performance of the cables you seek. Each cable has its character. There is a cable characterized by a good weak bass tone in high notes giving a dull impression or vice versa. There is also a cable with a sweet vocal character but has a bad detail. There are cables that can respond to music quickly but have a low tone that is less good. Before deciding to buy a cable, you should find information on cable characters on cable review reviews in magazines, the internet and so forth. I hope this article you can have guidance in choosing and buying the cable that suits you. Suitable regarding price, quality, and your taste. And most important is that you avoid the problem of choosing the wrong cable as is often experienced by ordinary buyers or beginners.